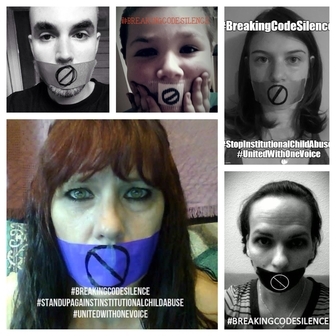 Safe Teen Schools, WWASPSurvivors, Shut Down Logan River and SIA Organization (Survivors of Institutional Abuse) Have just launched The #BreakingCodeSilence Challenge, a challenge designed to bring awareness to the issues of institutional child abuse in Residential Treatment Centers and Teen Behavior Modification Programs. As we speak, as we live and breathe and enjoy our everyday freedoms, there are thousands of children suffering in captivity, usually involuntary committed/incarcerated without consent or due process to "Teen Rehab" facilities that masquerade as therapeutic treatment centers and operate with impunity due to the lack of government oversight. The "treatment" these children receive couldn't be further from therapeutic and more often than not, result in abuse and torment that leaves survivors with lifelong emotional scars. Children have been systematically abused in these fraudulent programs for decades, and as long as the government allows them to continue to operate, they will suffer in silence and even die in these programs. Fraudulent teen programs exist all over the US and in many countries all over the world. What may look like a premiere rehab or treatment center in their marketing materials may actually be a private FOR-PROFIT teen prison that abuses kids and cons desperate parents. In Programs, silence is not a choice, it is a requirement. 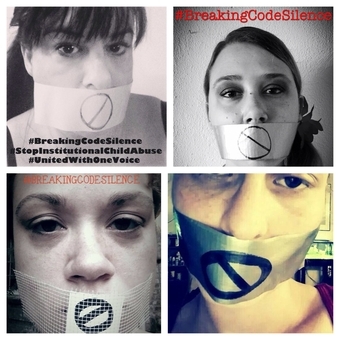 "Code Silence" is a process of punishment meant to isolate and unnerve the child to a breaking point, to the point where they feel no one believes anything they say, unless they "get with the program" and say what they are suppose to say. This method can be so powerful that the concept may follow a survivor wall after they have left the program. So much so that they hold on to all the memories and unresolved feelings about their experience because they were taught that no one would believe them, and "being a victim" was shameful and showed weakness. That ends today! We will be silence NO MORE. 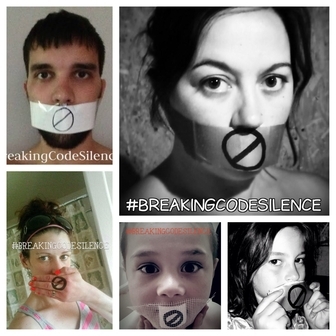 The #BreakingCodeSilence Challenge was created to encourage survivors of institutional abuse to stand up and testify about the abuse in their programs, to speak today not for themselves, but for all the children out there currently suffering with no voice and no hope of resume. We will be strong for them, we will come forward and be their voice! #UnitedWithOneVoice we stand and undeniable testament to the realities of the Troubled Teen Industry. We hope this demonstration of empowerment and support of all survivors will take on enough headway to reach the masses, and save the lives of children currently held in these private teen prisons. Are you a survivor of institutional abuse? Please, take the challenge by first sharing your story, it can be as little as a paragraph or as much of a life story as you would like to share. 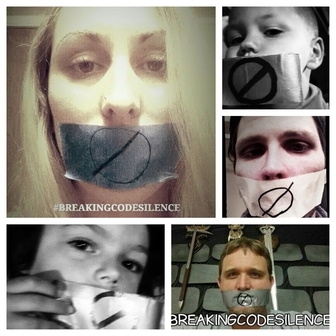 With your story, submit your challenge photo, a "selfie" with tape over your mouth with the symbol "Ø". This symbolizes the fact that so many children have no voice in these programs. But we do have a voice and we will stand up for them! With your submission please provide the names of 3 people you will challenge (and support through the process if this is the first time) to share their stories of abuse (or witness to abuse) in a teen program. If sharing is to much, feel free to just support!! Post your photo on social media outlets and show others they are not alone! Thank you for your contribution to the cause, from one survivor to another.